(Fast Track Music Instruction). 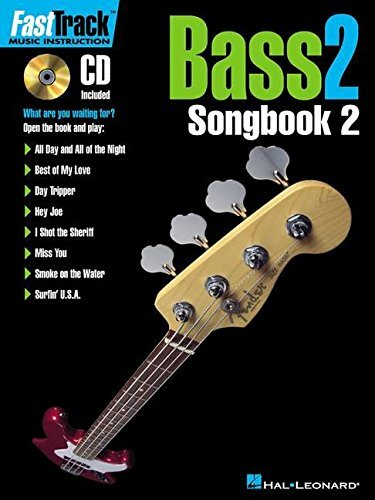 A supplement to the FastTrack instruction book, this great songbook/audio pack features 8 great songs: All Day and All of the Night * Best of My Love * Day Tripper * Hey Joe * I Shot the Sheriff * Miss You * Smoke on the Water * Surfin' U.S.A.. Perfect for playing with a band, or solo with the accompanying online audio. The price of this book includes a unique code that provides access to audio tracks online, for download or streaming. The tracks include PLAYBACK+, a multi-functional audio player that allows you to slow down audio without changing pitch, set loop points, change keys, and pan left or right available exclusively from Hal Leonard.